Funny Money Quote – Quotation from Mick Jagger takes a jab at US income tax rates when he claims that he’d love to spend more time in America if the taxes weren’t so exorbitant. I love America, but I can’t spend the whole year here. 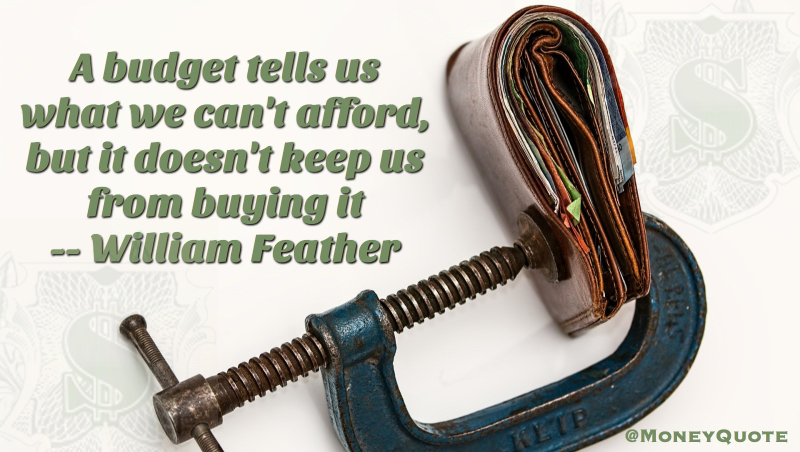 William Feather money quotation saying budgets only help you if you stop exceeding your budget. When we know we shouldn’t spend.